Espace Tricot Patterns – FREE! Just launched – our Clin D’oeil Newsletter! We are happy to announce that yesterday we launched our first “official” newsletter – Clin d’oeil – a bi-weekly roundup of fresh patterns, products, and everything newsworthy at Espace Tricot. Clin d’oeil is French for “wink” or “in the blink of an eye” so we promise to keep things brief and fun. After all, that project isn’t going to knit itself! And if you’re interested in receiving the newsletter directly to your inbox every two weeks or so then simply subscribe HERE. In the meantime, happy knitting! Nos nouveaux patrons – maintenant disponibles en français! Merci d’avoir placer la version française. Objet : [New post] Just launched – our Clin D’oeil Newsletter! Merci de penser àà votre clientèle française, très appréciée! Bonjour à vous deux,.j’adore votre site…vos projets sont magnifiques et vous êtes vraiment très inspirantes. Je vous regarde très souvent sur YouTube et je deviens très passionnée par tous vos messages, topos, vos différentes laines si belles. Like us on Facebook! | Aimez-nous sur Facebook! 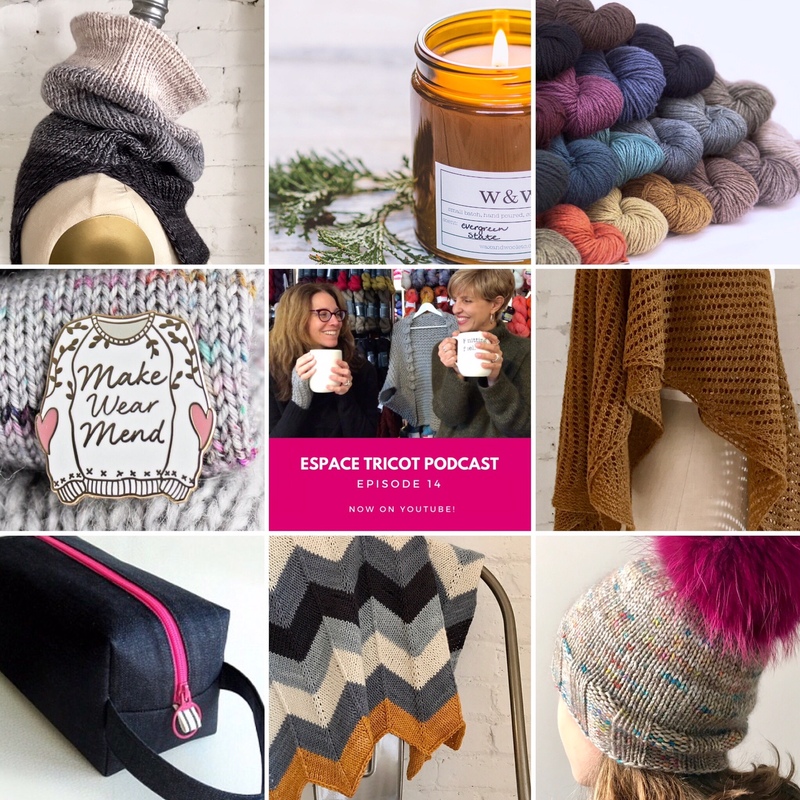 Espace Tricot Podcast – Episode 28! Winter Class Schedule now posted! Espace Tricot Podcast – Episode 21! As much a gathering place as a retail space, Espace Tricot's inspiring atmosphere caters to fiber lovers of all ages and skill levels. The store stocks a large and carefully curated selection of yarns and fibers, notions, accessories, books, and patterns. Espace Tricot also offers many classes and workshops where new knitters, crocheters, and spinners can get started and more advanced customers can hone their skills.